Most financial planners and mutual-fund portfolio managers advocate staying fully invested, at all times, in either stocks or a broadly diversified portfolio of stocks, bonds, commodities, and real-estate investment trusts (REITS). I, on the other hand, have always considered such an approach to be foolish. That’s because during different phases of the economic cycle, different asset classes and sectors of the economy tend to perform differently. For example, during economic downturns, stocks, commodities, and REITS tend to fall sharply while bonds tend to rise. Likewise, during periods in which economies expand at a rapid rate, bond prices tend to decline in response to increases in interest rates. Therefore, I usually recommend for investors to buy stocks, especially stocks of technology companies and financial companies, during the early stages of economic recoveries, and to continue to hold those stocks until a vast array of economic indicators suggest that an economic expansion is nearing an end. I advise investors to buy stocks of technology companies and financial companies because the stocks of those companies tend to perform best during such environments. During the middle stage of economic expansions, however, I usually advise investors to invest a portion of their money into stocks of industrial companies and providers of basic materials (such as providers of oil, coal, and industrial metals), because the stocks of those companies tend to perform best during that stage of the economic cycle. Once clear signs emerge that an economic expansion is nearing an end, or that economic growth in the world’s major economies is likely to slow considerably, I generally advise investors to sell their holdings of stocks, commodities, and REITS. I then urge investors to use the time between economic downturns and the beginning of new expansions to create a list of stocks that will likely generate substantial investment returns once a new expansion begins. Gold could hit $1,900 an ounce in the next six months, driven by buyers seeking an investment safe from global economic problems, but a further rise to $2,000 looks unlikely, metals consultancy GFMS said on Thursday. "Gold will be muddling through to peak at $1,900 (an ounce) as U.S. data points have been ambiguous, the action on the fiscal and monetary front is also ambiguous," said Paul Walker, global head of precious metals at GFMS, which has been acquired by Thomson Reuters. Gold extended record highs above $1,825 an ounce on Thursday after poorly received U.S. jobs data hurt assets seen as higher risk, such as stocks, while boosting interest in nominal safe havens such as gold. So far in August, the price has risen by more than 12 percent, putting it on track for its biggest monthly gain since November 2009. "In the time frame, we really need exceptionally dramatic news to push gold above $2,000 and this is not our base case," said Walker. "This is highly unlikely." Although gold remains off its inflation-adjusted peak above $2,000 struck in 1980, it is one of the top performing assets this year, up by over 28 percent versus a 15-percent loss in U.S. blue-chip stocks or a 7.7-percent decline in the price of copper. He said there was a high probability of India's gold imports crossing 1,000 tonnes this year — up four percent on 2010 — as expectations were for prices to gain further. The World Gold Council in a report on Thursday said Indian gold jewelry buying was up 17 percent in the second quarter and that signs of strength in the market remained. Gold imports by MMTC, India's second biggest importer of the metal, have tumbled to 5 tonnes so far in August as buyers preferred a 'wait-and-watch' approach. Walker said consumers would wait for price stability before jumping in. "People are getting accustomed to this kind of a benchmark (price) even though it is at incredibly elevated levels. Everybody who is involved in the value chain in the Indian gold market thinks prices will go up," said Walker, ahead of a conference in the southern state of Kerala. Silver prices could extend gains to $50 an ounce in the next months from around $40.60 an ounce now, he added. "It will follow gold up ... It will move towards $50, but it is going to be a hell of a lot more volatile," said Walker. Silver prices have more than trebled since 2008 to peak at $49.51 an ounce this year. "Silver will benefit from the same factors as that of gold from rising investment drivers. Until the global macro situation gets clearer, prices will go higher," he said. Earlier this year, with the gold market holding up past the $1,500 level and gold-mining stocks performing more strongly than they had in the previous few months, I bought some shares of the Market Vectors Junior Gold Miners ETF (GDXJ), a basket of midcap producers and explorers. Anyway, the exact trade isn�t the important point here. I faced two problems when making my purchase familiar to most investors: gold stocks are pretty volatile, and I�m cheap. Fortunately, I didn�t pay retail. Since selling those calls lowers the cost basis, I essentially bought my shares about 9 percent below market price. That gives me a bit of protection if gold stocks start trending lower. Yes, by selling calls I limited my upside. By my calculations at that time, I figured I could make a 16 percent maximum profit in the following six months. If I can do that again with another stock or ETF, that would equal a little over 30 percent per year. Ideally, the ETF will end up slightly higher, but below where I sold calls. The calls will expire worthless, and I�ll be able to sell some more. The overall market is at a crossroads. It could fall if debt ceiling woes get worse, or rise if the Fed decides to do more monetary easing. Buy-writing the gold sector hit a tactical sweet spot, with some safety on the downside thanks to the hefty premiums, but I wouldn�t miss out on gains if markets rise. Tip #1: Surround Yourself With Intelligent People. �Birds of a feather flock together,� is a popular, time-worn saying. And it�s a true maxim. If you associate with a financially informed crowd, you will increase your chances of achieving financial wealth. If you hang out with a group of people who are not financially in tune, then there is a good chance you will lose control of your financial future. In a sense, you want to form your own �Financial Brain Trust� � just like Christopher Ruddy did. And this, of course, goes for other areas of your life: your health, your spirituality, your relationships, etc. Are they helping or hurting your financial future? Do they engage in financial conversations (oftentimes, just teaching others about what you know can increase your own financial awareness). What are some ways that you can get connected with financially savvy people? Have your friends/family given you poor or helpful financial advice? This tip is probably one of the hardest to put into practice, simply because people are giving you �financial advice� wherever you turn. 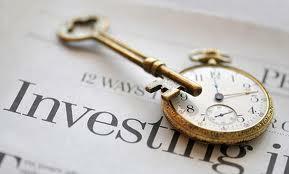 If most people are jumping into an investment, then it probably is time to get out of that investment. You don�t want to be that person holding the rotten egg! A good warning sign on �when to get out� is when you hear your friends and neighbors talking about how good an investment is. Especially if you are getting �investment advice� from people who have no business acting as if they are experts. The government doesn�t necessarily outright lie; it just misleads people with specific economic reports. The classic example is unemployment. When government statistics say that �unemployment� is at 5 percent. . . it actually is much higher. The statistic you usually hear does NOT include those who have stopped looking for jobs, nor does it include those who took a lower paying job just to make ends meet (the underemployed). When you look closer, the true unemployment number typically will double when other important factors are included. The subprime mortgage problem continued to plague every financial market at record levels. Two months later, both Freddie Mac and Fannie Mae had to be bailed out with $100 billion. . . each. 2008 was one of the worst years on record for real estate. Again, it�s not that the government outright lies. It is often that government officials just don�t know what they are talking about. And sometimes it is also the case when, for example, the Fed can�t go out to the public and say, �Looks like we are in deep trouble. . . � � No, that would be very bad for the market. So, when it comes to government reports, always take them with a grain of salt. Result: Two weeks later, Wachovia came within hours of failure. Wells Fargo bought the bank for pennies on the dollar. Result: Merrill�s shares plummeted 77 percent and it had to be rescued by Bank of America through a deal the U.S. Treasury brokered. Result: None of these firms even exists today. Lehman went bankrupt. JPMorgan Chase bought Bear Stearns in a fire sale. Merrill was sold to Bank of America at a rock-bottom price. Imagine what would have happened to your portfolio had you followed their advice! Yikes. Our gold experts predicted a massive spike in gold prices back in December 2003. Had you been a subscriber and bought gold at that time, your gold holdings would now be almost tripled in value! The December 2007 issue headline rang out: �2008: The Year of Reckoning,� while nearly everyone else was saying �buy, buy, buy.� The next year, the market lost nearly 50% of its value. We warned our subscribers about the plummeting dollar in our June 2004 issue, �The Dangerous Dollar Warning.� As a result, our subscribers were able to buy more precious metals and use the metals� increasing values as a hedge against inflation. Our advisers steered subscribers to Canadian royal trusts that went up as much as 100% in one year while also paying 15% dividends. . . and dividend stocks that paid up to 17% a year, plus appreciation. For our real estate investing subscribers, we warned about the housing crash long before the market crashed in April 2006 while the construction industry was booming. . . and we saw through the easy-money policies of the Fed and easy-approval lending practices that led to the mortgage meltdown two years before those financial institutions and banks that were �too big to fail� were on the verge of bankruptcy and bought out by other banks or the U.S. government. We revealed to our subscribers ways to protect against the massive stealth inflation of over 8% in the <?xml:namespace prefix = st1 ns = "urn:schemas-microsoft-com:office:smarttags" />United States, while the Federal Reserve was claiming only 2.3% �core inflation,� which conveniently excluded the rising costs of food, energy, taxes, and housing. It can get ugly when people allow their emotions to get in the way of trading. Very ugly. The two emotions that can do major collateral damage to your portfolio are fear and greed. Fear usually enters in when people start to see the market pull back. They will start to check their portfolios on a daily basis. They watch their portfolios shrinking in size � and when they can�t stand it any longer, when they think that there is no hope, they SELL. The vast majority of the time, they sell cheap, and they sell for a loss. Meanwhile, smart investors are buying with both hands. Greed usually enters in when people are making a ton of money in the market. They have delusions of their stock picks and mutual funds doubling, tripling, quadrupling � and beyond! Greed is why Las Vegas exists; it�s why Americans leverage themselves with credit; it�s why people buy lottery tickets. Bubbles exist because of greed. The real estate bubble was a result of people flipping houses to make a bunch of money (greed), and it was the mortgage companies trying to make more loans � even if it meant zero-down adjustable mortgages (greed). And greed will destroy a person�s finances (and those of their families). When the stock market starts going up and up, and when people hear how much money their friends are making in the market, they start buying. Once they see the results. . . they buy more. Meanwhile, smart investors are selling with both hands. When people allow emotion to get in the way, especially fear and greed, their portfolios are in for an ugly ride. You can take emotion out of the investing equation by following our previous tips! Form a Financial Brain Trust of your own. Stay well informed from trusted sources. Avoid financial clutter from the masses, from �financial experts,� and the media. Create a game plan, and stick with it. It takes work, but it will pay off. This week, our featured article comes from Newsmax�s David Frazier, editor of The ETF Strategist newsletter. He warns against a common investor predilection toward looking at backward-looking economic indicators to make their future investment decisions. One of the more common mistakes that many investors make on a recurring basis is focusing on the past, rather than the future, when deciding where to invest their money. I�ve found that looking mostly in the rear-view mirror usually leads to only one outcome � a crash. That�s because one can�t foresee possibilities that might lie ahead if one focuses only on the past. Unfortunately, novice and experienced investors alike, including many so-called investment experts, often fall prey to that pitfall by reviewing economic statistics and geopolitical events that reveal information that only concerns the past. For example, during late 2007, numerous economists and financial market �experts� told investors that the statistics that they were monitoring at that time indicated that the U.S. economy was in sound shape, the housing market would soon resume its 2002-2005 upturn and that stock prices were headed higher. In direct contrast, I advised investors during September 2007 to either get out of stocks and to allocate a large portion of their assets to cash-like investments or to sell stocks short. That�s because my research indicated at that time that the U.S. economy would soon enter a recession and that stock prices would likely decline sharply during the ensuing months. A few months later, the U.S. economy entered its worst recession since the Great Depression years of the 1930s and stock prices experienced their worst downturn since the stock-market crash of 1929. Many of the same �experts� mentioned above advised investors during early 2009 to remain defensive by allocating a large portion of their financial-market assets to cash-like investments and to stocks that tend to decline less than other stocks during economic downturns, because several economic statistics supposedly indicated that the economy would worsen further during the ensuing months. Once again, in direct contrast, I advised investors to allocate 100 percent of their financial-market assets to both cyclical and growth stocks, because my research indicated that the U.S. worldwide economic recession would end during June 2009 and that stocks would appreciate substantially throughout that year. When stocks did collapse during 2008, and after they rebounded substantially during 2009, many of the investors that heeded my advice thanked me for my supposed insight. Yet, I really didn�t have any exceptional insight. Rather, I merely focused on economic statistics that tend to indicate the future direction of the economy and stock prices, instead of statistics that only reveal what has already happened � in other words, I chose to look toward the future rather than looking in the rear-view mirror. had moved into bubble territory. I was in good company even then. Billionaire Warren Buffett earlier had made a similar suggestion in an interview, stating that the Treasury bubble would be long remembered as a near equal to the dot-com and housing busts before it. Since then, the 10-year T-note has collapsed, from nearly 4 percent to as low as 2.48 percent at the end of August. As investors have pulled cash out of mutual funds, they have run like lemmings over the cliff toward the supposed �safety� of U.S. government bonds. It�s getting a little frightening to watch. Even corporate bondholders are getting skinned. Bank of America data show 15-year corporate bonds lost 3.15 percent just since Aug. 31. You see, as yields fall, prices rise. At 2.81 percent, the 10-year Treasury is lower than it was on Black Tuesday, 1929! What followed was the Great Depression and World War II. I�ll admit, I don�t see good things for the U.S. economy, but probably not a depression and an ensuing multi-front global war. U.S. investors have pulled money from stock funds in 10 of 17 months since March 2009. That has been matched by inflows of $185.3 billion into bond funds through July 31, according to the Investment Company Institute, the most for the first seven months of a year since the group first began keeping track, in 1984. Money is getting so cheap for companies that tech giant Microsoft is borrowing on the bond market just to pay a dividend to shareholders who are unhappy that its stock remains in the doldrums. Why so much fear? Well, partly because too many people have bought into the idea that the U.S. economy was bound to �double dip,� causing stocks to stumble sharply after touching 11,200 in late April. enough of them! ), but he�s also no dummy about what the mass of investors is likely to do next. I predicted earlier this year �will be headlong flight out of government bonds, driving down prices and prompting even more flight. Where is all that money � Americans sit on trillions in private stock and bond fund investments � bound to go next? Gold Stock Adviser, by going to www.newsmax.com/david on the web.